Want to enhance member reviews feature on your website? 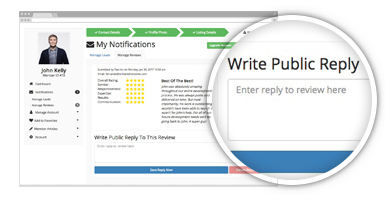 Give your members the ability to reply to customer reviews posted on their profiles on your website. Not only will your members love this feature, but it also generates more unique website content — boosting your ranking in search engines.